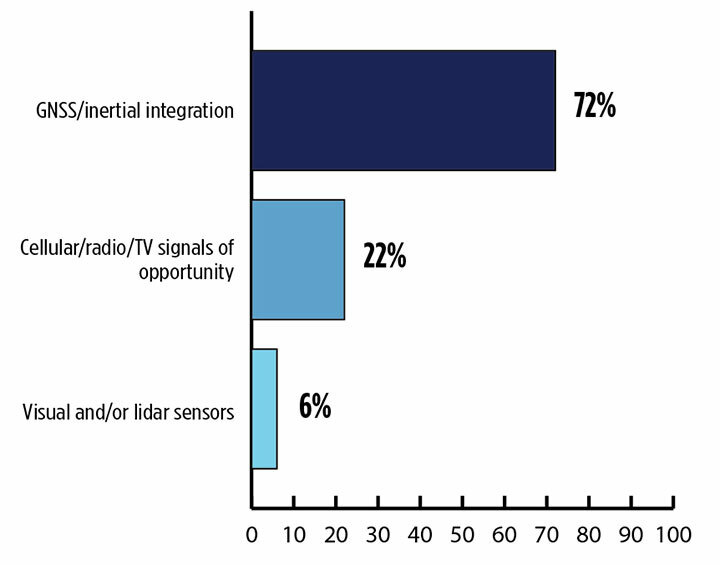 Signals other than GNSS are the key to positioning for both the transportation and machine control markets. 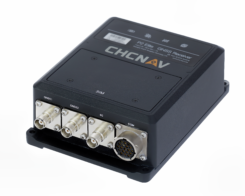 While many solutions are being developed, inertial navigation systems (INS) are emerging as the primary GNSS co-star. 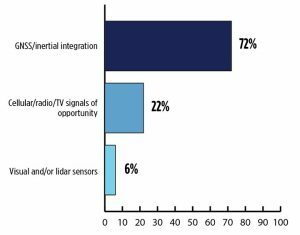 In our survey, nearly three quarters (72%) of respondents in this sector said positioning could best rely on tight integration between GNSS and INS. For comparison, inertial technology wasn’t even mentioned in the 2017 State of the GNSS Industry Report. This year for the first time, GPS World offered an Inertial Buyers Guide for our readers (see our May issue). 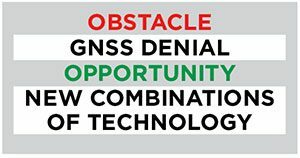 Practical autonomous navigation — the current ambition of automakers (and Google) — hits a roadblock when it comes to uninterrupted positioning. We all know GNSS reception has its limits, notably in many places that vehicles travel such as tunnels, beside tall buildings and in parking garages. Inertial positioning fills that gap, making it especially advantageous for meeting the challenges of autonomous navigation. Inertial measurement units are generally based on multi-axis combinations of precision gyroscopes, accelerometers and magnetometers using algorithms to determine location, direction and position. Gyroscopes measure the angular velocity; accelerometers measure overall acceleration; and magnetometers provide the direction of the magnetic field. Micro-electro-mechanical (MEMS) techniques have reduced the size, power consumption and costs of INS systems considerably, enabling their use in ever more applications, including unmanned aerial vehicles. 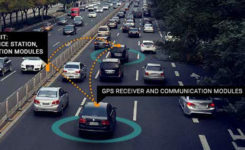 As a result, products that combine GNSS + INS are being introduced at an increasing rate, with more than a dozen major announcements in the past year. According to one study, the INS market is projected to grow from US$11.89 billion in 2017 to US$19.67 billion by 2023, a compound annual growth rate of 8.76%.